A bit of heavyweight entertainment as Tony Carbajal and Joe Vertical from the Victory Stunt Team do things with baggers you never thought possible. Watch the duo go full throttle at JenningsGP as they push the limits of adhesion on their supercharged Victory baggers. 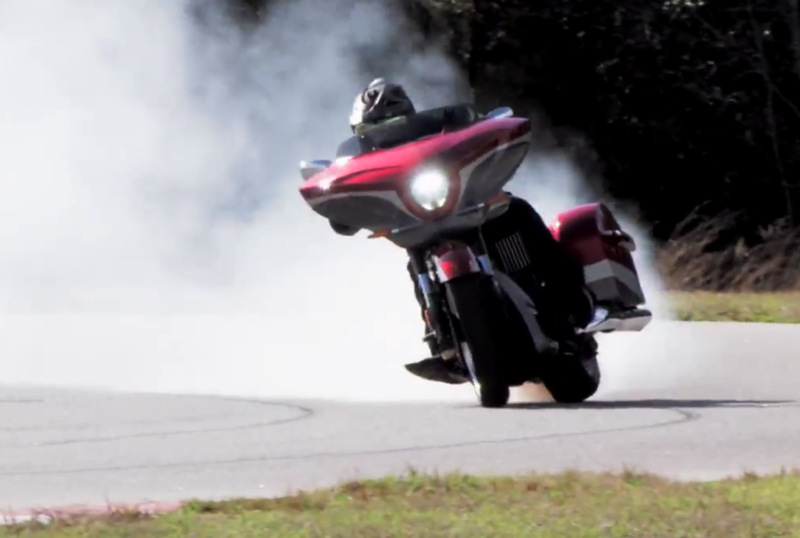 There are four different videos to amuse yourself with on the Victory Motorcycles YouTube channel.